The CA 2020 Women’s Suffrage Project supports the 2020 Suffrage Centennial education projects and Centennial celebrations throughout the state in 2020. California has a profound connection to the national suffrage campaign and this project is committed to collaborating with every county in the state to build a more inclusive suffrage narrative and celebrate the accomplishments of all women past and present. Through our state’s history we can draw strength and build on what was created with the passing of the 8th amendment to the state constitution and the 19th amendment of the federal constitution. The CA 2020 Women’s Suffrage Project and it’s members, recognize that passage of these amendments was only the beginning and that much is still be done to ensure equal voting protections for all. We view the passage of the state and federal amendments as victories that wrote into law that no one is to be denied their right to vote based on gender. Therefore the passage of the California state amendment and the 19th federal amendment is an accomplishment worthy of celebration. 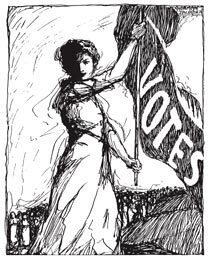 This project holds the belief that it is possible to celebrate these great accomplishments while building a more inclusive suffrage narrative that highlights the diverse women and men who fought for a woman’s right to vote. CA 2020 Women’s Suffrage Project believes that by examining and celebrating the seventy-two year long suffrage campaign in the United States, we can foster a deeper sense of civic engagement, be inspired by the incredibly diverse women and men who courageously fought for suffrage, and look to where we must improve in the future to move forward together. We invite all organizations invested in historical research, education, social justice, community outreach, and civic engagement to join our efforts to celebrate, as well as anyone or organization committed to the recognition of 100th anniversary of the passage of the 19th amendment. Together, every county in the state of California will come together in celebration and education of this historic moment and draw strength and inspiration from the past to move forward together in the future.